St. Francis Xavier School is a comprehensive private school centered around the Roman Catholic faith. In keeping with the directives of the Bishops of the United States, SFX, a living Faith Community, reaches out to the individual, extending the message of the Gospel. Students have the opportunity to thrive in well equipped classrooms, being instructed by teachers who are licensed by the State of Ohio. Our curriculum meets Diocesan as well as State standards based on best practices. 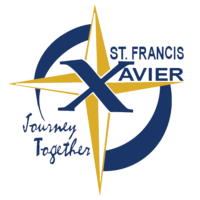 St. Francis Xavier was named a 2011 National Blue Ribbon School of Excellence by the United States Department of Education. SFX provides enrichment opportunities through extra-curricular activities and places an emphasis on service education. Differentiation is based on student needs and we provide a positive, safe learning environment to promote faith formation and spiritual, nurtured growth. Log into Headmaster, select enrollment tab, request re-enrollment, check new school year, click on re-enroll, click complete all. Complete the forms on the link and submit to request enrollment. To schedule a tour, call Mrs. Dreama Kellner at 330 – 725 – 3345. Learn about the admission process, transfer process, financial assistance, academics, co-curricular activities, campus visits and much more – everything a future SFX parent needs to know. Learn more about our extra-curricular activities and clubs, sports and athletics programs, parish ministries and much more – everything a future SFX student needs to know.